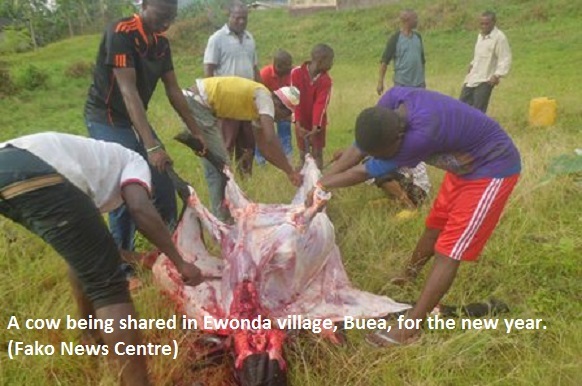 In Ewonda village in Buea, a group made up of members from Vasingi village, Bova village, Wokwai (Bokwai) village and Ewonda, killed a cow. After sharing the beef, a portion was used to prepare a common meal for members and their families. Drinks were also added to celebrate the occasion. 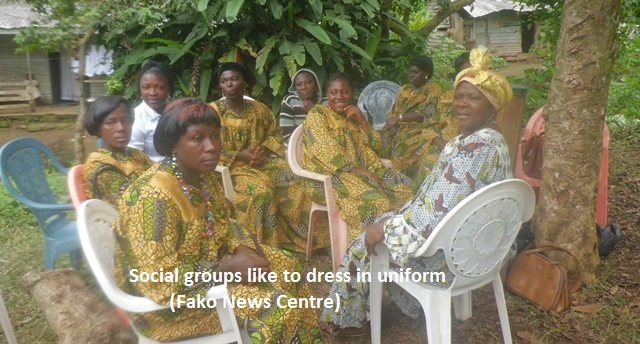 In other villagers, social groups did the same but went further to display the new uniform for the group. The groups also used the occasion to release new choral songs they had composed. 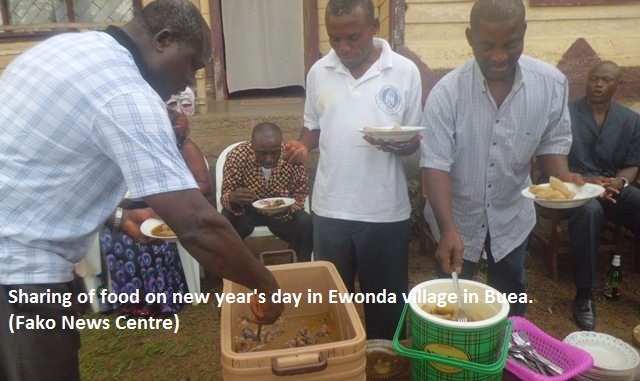 In Wokwaongo, Wonakanda and other villages, such groups could be spotted on January 1, 2014, singing and catching fun with members.